But! 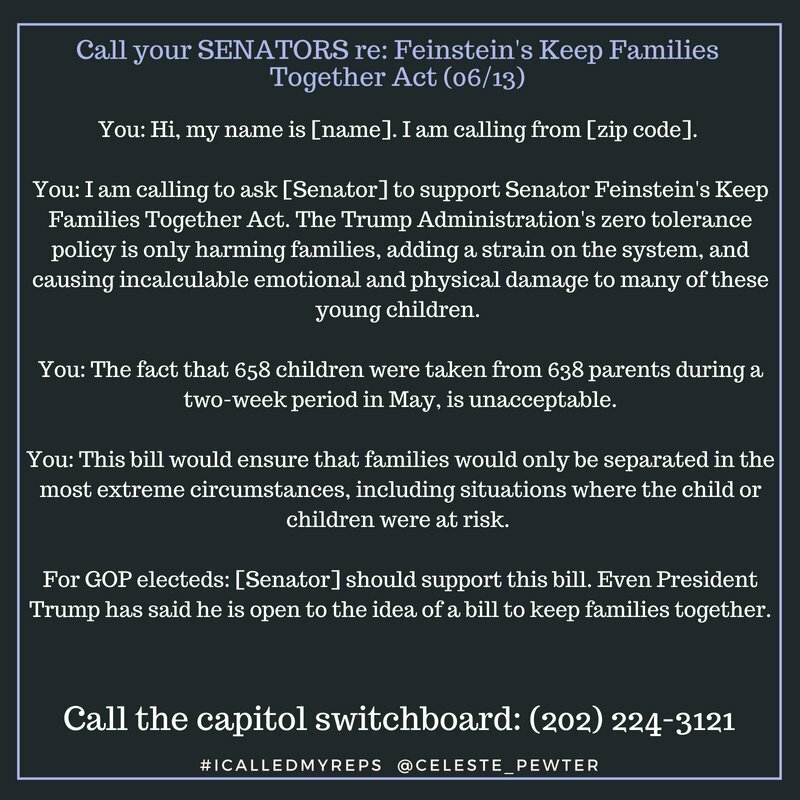 If you haven’t yet called your Senators to support Feinstein’s bill, do that first. Since yesterday, all 47 Democrats and both Independents in the Senate confirmed their support for S.3036. As of 7:30 pm on June 18, 2018, no Republicans had joined them. Are your Senators Republican? Then it’s extra-important for them to call. So! 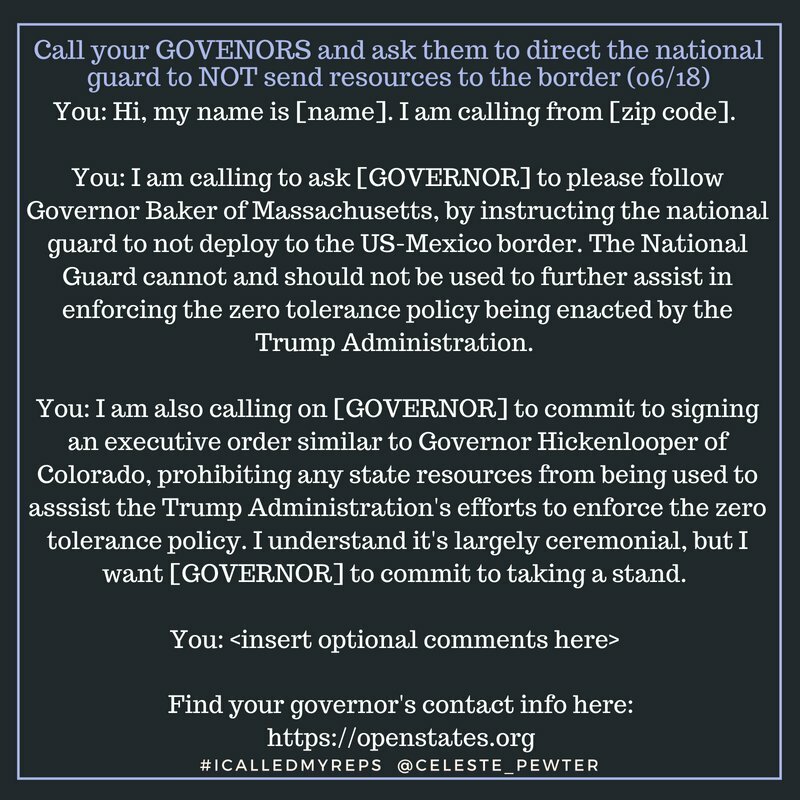 Here are some good and useful scripts from the fundamentally awesome Celeste Pewter to reference if you’ve already called your Senators about this or if you want other avenues to consider. 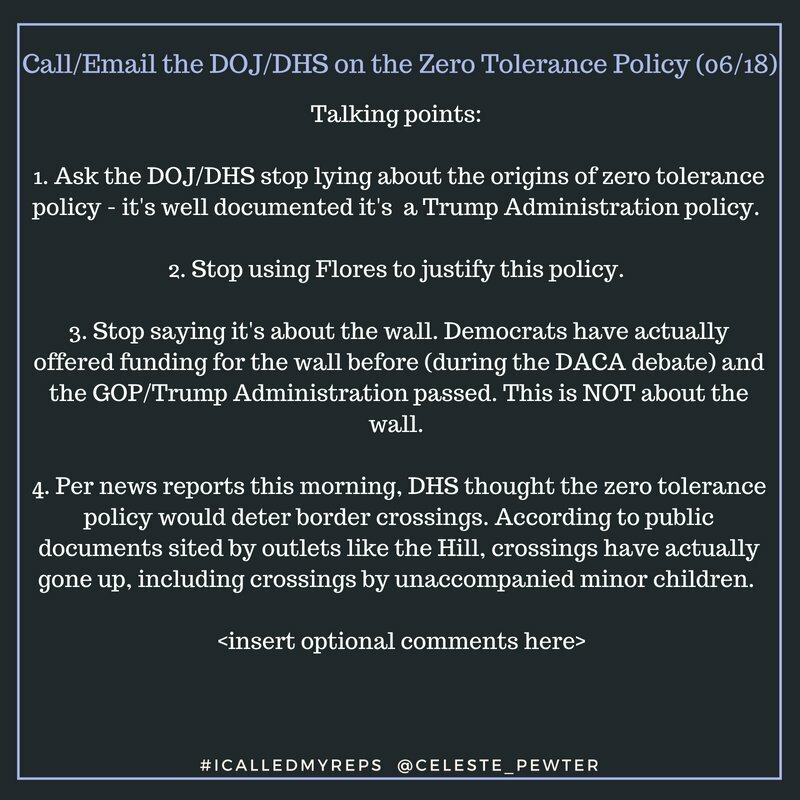 Second, you can contact the Department of Justice (DOJ) and the Department of Homeland Security (DHS) directly to complain. When you do this, please be unfailingly polite. You can be forceful and firm AND mannerly. If you can’t manage that, please leave this task be and tackle another one instead–you have many other options for pushing back. 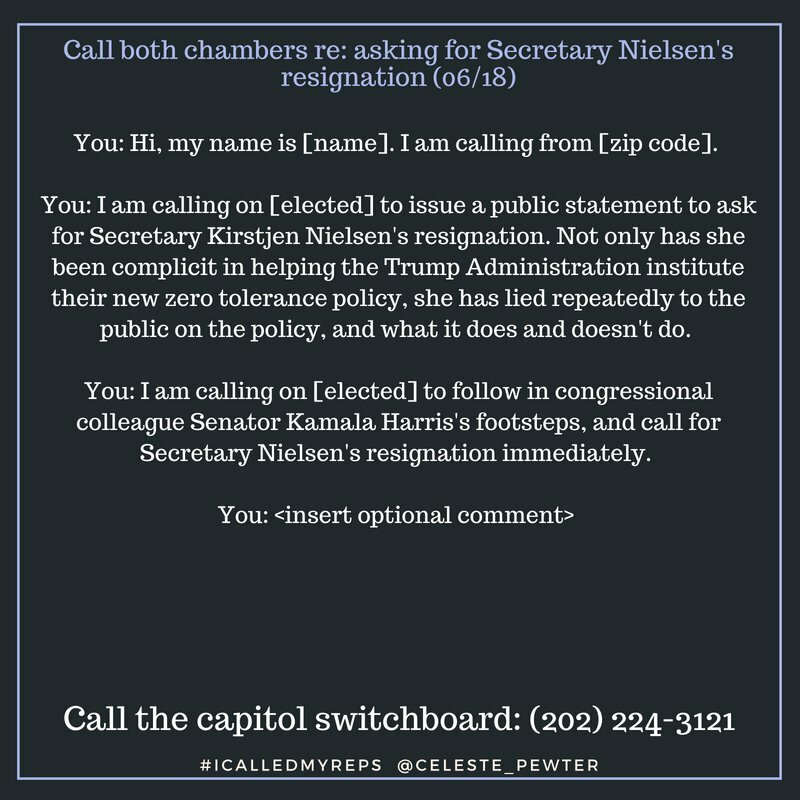 Pewter also notes, and we agree, that calling your Senators is best for getting actual results with regard to ending Team Trump’s policy. Contacting these departments will largely succeed in gumming up their works. It’s time for Secretary Nielsen to resign. The government should be in the business of keeping families together, not tearing them apart. And the government should have a commitment to transparency and accountability. Under her tenure, DHS does not have a track record of either.